An old adage says that there are two things that are certain in life: death and taxes. But these days, you can certainly add a third. While all adult citizens of the U.S. are gathering their information to files taxes with the Internal Revenue Service by April 15th, a separate part of the population has already been hard at work to scam those hard-working people out of their money. 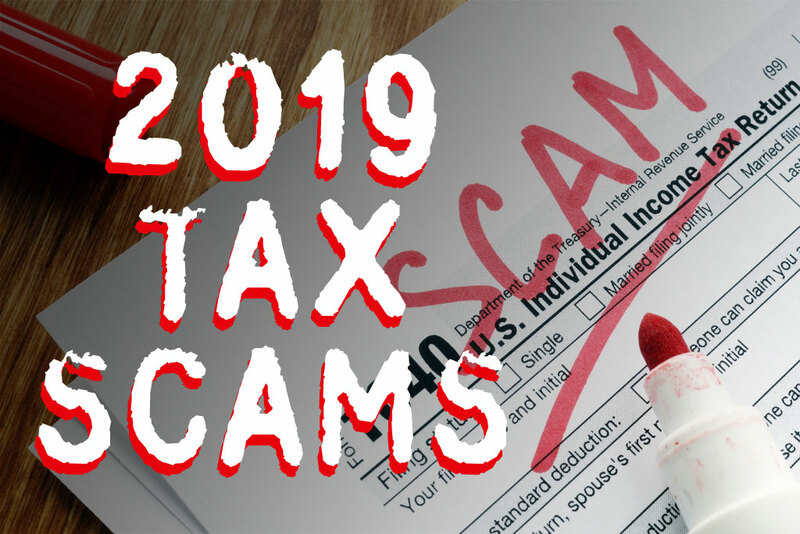 Every year, millions of people encounter fraud of some kind, and though tax scams were down in 2018 from the previous year, that is no reason to get comfortable. This is the most basic form of tax scams. You finally get around to filing your taxes only to be informed that you already have—or at least, someone already has by using your Social Security number. This kind of scam isn't one that you are tricked in to. Most of the time con artists have found your information through some sort of breach or leak and have your information on hand. All they need to do is enter in your information and submit. The best way to avoid identity theft for the tax season is to file early. The longer you wait, the more opportunity someone out there has to file a phony return and take off with the money, leaving you the long and arduous task of reporting it to the IRS and sorting through the cleanup. Here's a protective measure you can take. If you filed a federal tax return last year that listed your address in the state of Florida, Georgia, District of Columbia, Michigan, California, Maryland, Nevada, Delaware, Illinois, or Rhode Island (or if you got a letter from the IRS allowing you to opt-in), you have an option to request a Tax Identity Protection (IP) Pin. The IRS sends you a new IP pin yearly, and you can't file your taxes without it. It's a simple step that may save you a lot of hassle. Other scams, though, aren't so easy to dodge. While some brilliant minds in the world contribute great things to society, others are putting their skills to more devious means. Scammers have learned how to work the system and make their caller ID show up as the IRS. Once a targeted victim picks up a phone, the voice on the other end makes claims that the IRS is demanding immediate payment. If it's not made, they say, an arrest will occur. If that hasn't scared the target into action, the scammer will call again, pretending to be from the police or DMV—again faking the caller ID and claiming that immediate negative actions are about to take place if the person doesn't pay. Similarly, if you receive a call from the IRS claiming that a family member is being held hostage unless money is paid (either by card or through an obscure form like gift cards), remember that the IRS is not in the business of holding hostages. Call your loved one to make sure they are safe, and be glad that you didn't respond without verifying. Call to demand immediate payment. Generally, the IRS will first mail you a bill if you owe any taxes. If you use a preparer to help you file your taxes every year, there are reasons to be alert. Some of these scams involve "ghost preparers" who collect all of your important information, their fee, and then disappear. This can also take place when someone impersonates your real tax preparer. They may create an email that just slightly varies from your real tax preparer's email and from there get your sensitive information from you solely through email communication. There are also "bad preparers" who base their fees off the return amount they say they can get you. They'll probably pad your info and then when the IRS finds out, you'll be stuck owing them a big amount and the "fee" that your "preparer" took off with. A good tip here is to know your tax preparer instead of going with someone/a company you haven't really heard of and might not be reputable. Whenever it comes to your sensitive information, taking extra time to check that you are communicating with the right people is the never a waste. Also, save the exchange of important information for when you meet the preparer in-person. Finally, don't forget to check your return (make sure there aren't glaring amounts that you know can't accurately represent you). If it's too good to be true or they offer to boost your refund, refuse. There are also some who send out an IRS-looking email that says there's a refund for you waiting to be claimed (usually in a big, specific amount)—just enter your Social Security number and banking info and the money is yours. This is another one of those too-good-to-be-true scenarios. If all of your friends are having to do the hard work of filing their taxes to get a return, chances are you aren't more special than they. Another is the "tax transcript" email scam—fake IRS emails are sent to people saying they're in trouble, and the email has a portion of an old tax return to "prove" their legitimacy. One click and suddenly malware is installed on your computer, and now your information truly is compromised. Be diligent about account passwords. Don't listen to calls from the IRS or respond to IRS emails. Think before you act—honest institutions will never force you to make a decision or act on the spot. Commit to never responding immediately out of pressure. Don't EVER use public Wi-Fi for tax filing or banking. Don't click on links or download attachments in emails that claim to be from the IRS. Always check with the IRS about a bill you've received—even if it comes in the mail, but especially if the amount doesn't seem right to you. For all things taxes, make www.irs.gov your home base. How to get privacy and security. Being on the alert is one way to stay safe. Here's another: You should be using a Virtual Private Network (VPN) as often as you, especially when you are 1) using public Wi-Fi and 2) sending sensitive financial information over the internet, such as your tax documents. We make easy to find the best VPN for what you want. 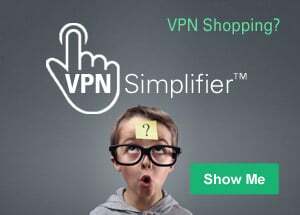 Check out our VPN Simplifier.